Clearing methods facilitate viewing of tissue samples with confocal microscopy. Clearing methods are based on refractive indices of tissues. The eye's sclera is a difficult tissue to clear because it is rich in collagen. Our goal was to clear samples of the sclera from pig eyes; we compared the refractive index (RI) of collagen to the RI of popular clearing methods in order to decide which to use. The six methods we tested were xylene, methyl salicylate, two formulations of fructose, and two formulations of benzyl alcohol and benzyl benzoate. The conclusion of our work is that a mixture of benzyl alcohol and benzyl benzoate was most effective at clearing collagen-dense tissue. Moving forward, we will need to engineer a special chamber in order to view these samples under confocal microscopy because there is a possibility of damage to the confocal optics. Schneider, Casey and Caylin Steinberg. "Assessment of Clearing Methods for Confocal Microscopy of Eye Tissue." 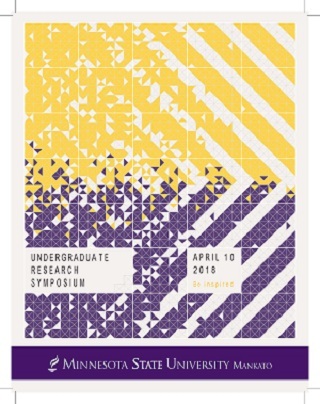 Undergraduate Research Symposium, Mankato, MN, April 10, 2018.